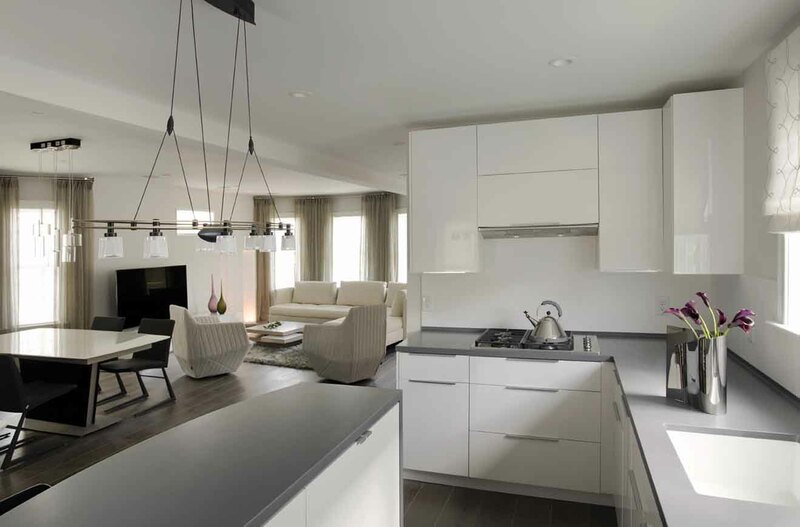 High-end interior designer, Beatrice M. Fulford-Jones, BA, SBID IIDA, recently completed the design of two high-end turnkey condominiums located outside of Boston, Massachusetts. Beatrice brings an international élan to American residences designed for discerning clients looking to move right in. 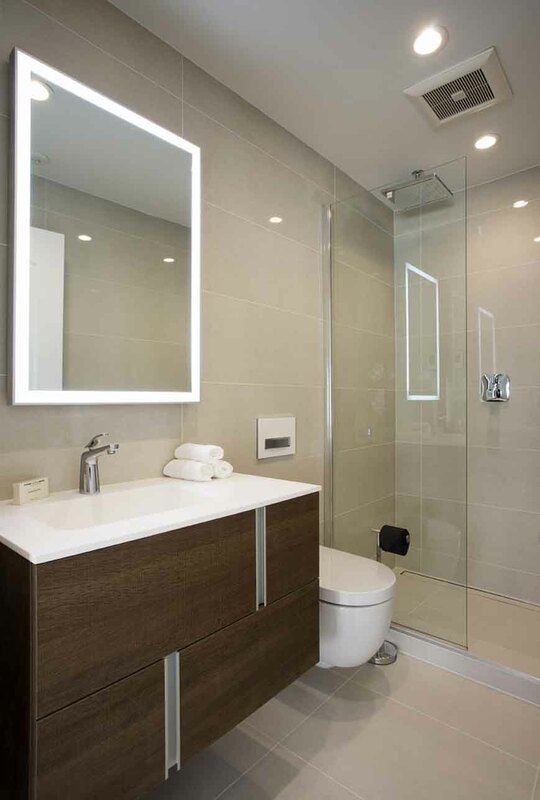 At Wetherby Place, I created a comprehensive solution for busy professionals who appreciate high-end design but demand a hassle-free lifestyle. Wetherby Place 1, the first floor condominium, features a sleek kitchen outfitted with Bosch appliances, Cabico European-style frameless custom cabinetry, seamless Krion countertop, backsplash and sink by Porcelanosa, low level LED ambient lighting and pop-up USB power column on the peninsula. The space is furnished in classic modern style, with a Calligaris dining table and chairs, Mies van der Rohe and Le Corbusier seating, Noguchi coffee table, Ligne Roset media console, Italian chandelier, and a curved ultra HD TV. 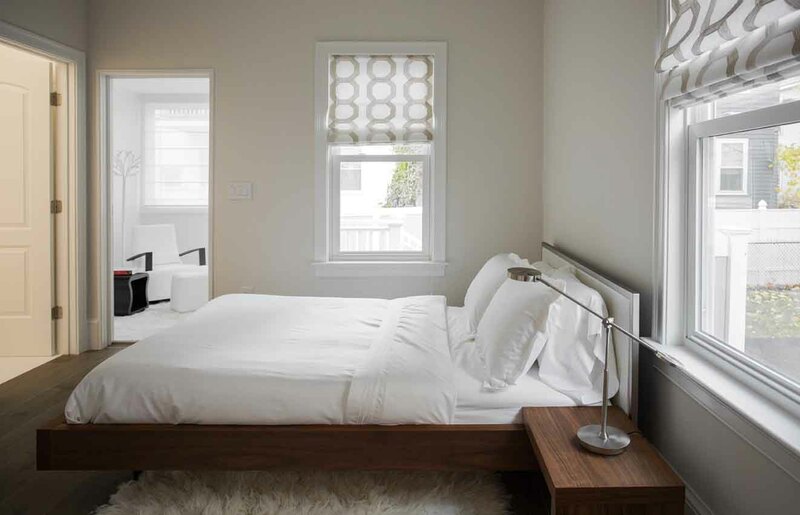 The master bedroom and guest bedroom each include a custom walk-in closet with beds by Ligne Roset and BoConcept. 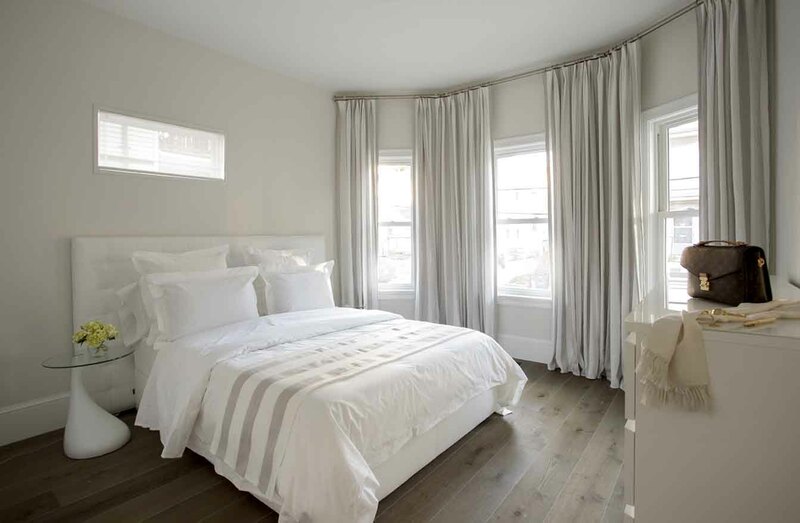 Custom high-end bed linens and window treatments complete the design. Wetherby Place 2, a bright contemporary space, occupies the second and third floors of the three-story building. 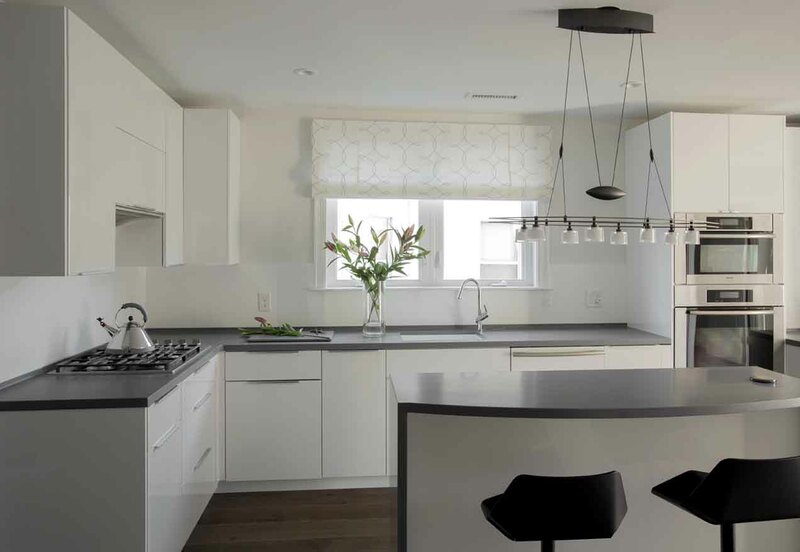 Similar to the first floor unit, the kitchen features Cabico custom cabinetry, a seamless Krion solid-surface countertop, sink and backsplash by Porcelanosa, and integrated high- and low-level LED ambient lighting. A pop-up USB power column on the island and a Bosch cooktop featuring flex-induction' completes the kitchen’s superbly appointed yet supremely efficient purpose. 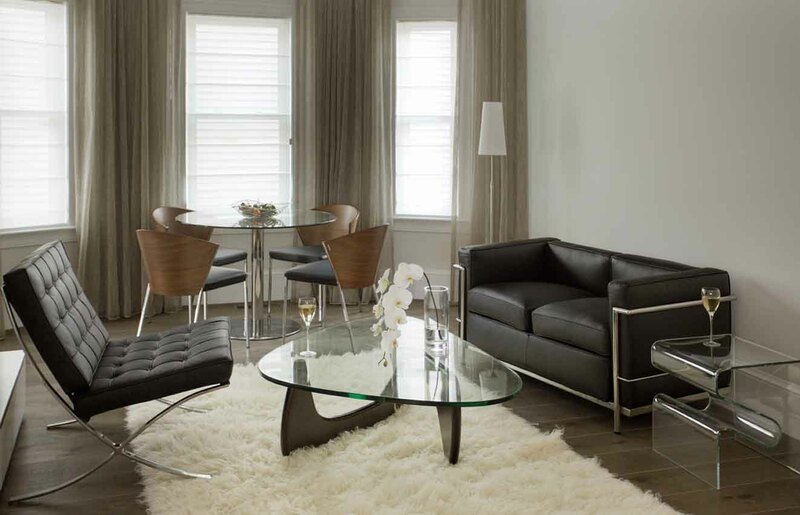 The condo is furnished with exceptional pieces from Ligne Roset, BoConcept, and Roche Bobois. An entertainment system is anchored by a 65” curved, ultra HD smart TV and accompanying media. 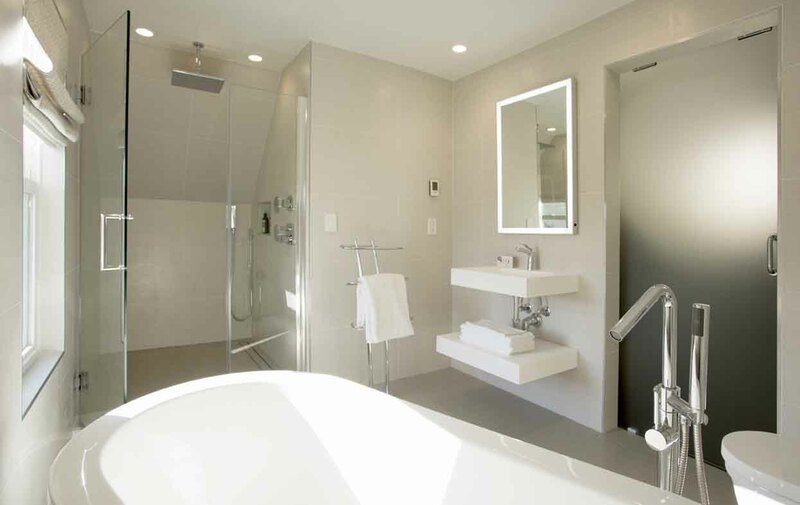 The three bathrooms have Porcelanosa fixtures and tile, as well as rain showers, heated flooring, and heated towel bars. 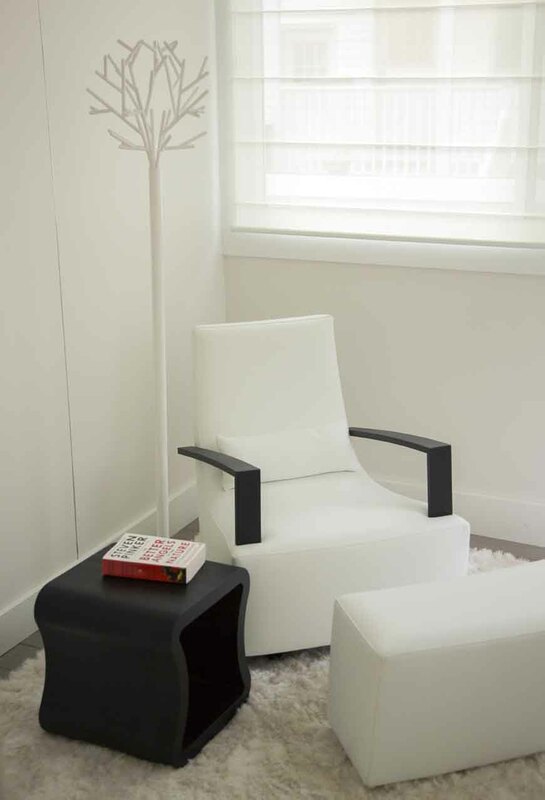 “I envisioned the spaces to be soothing and comfortable, elegant and refined. 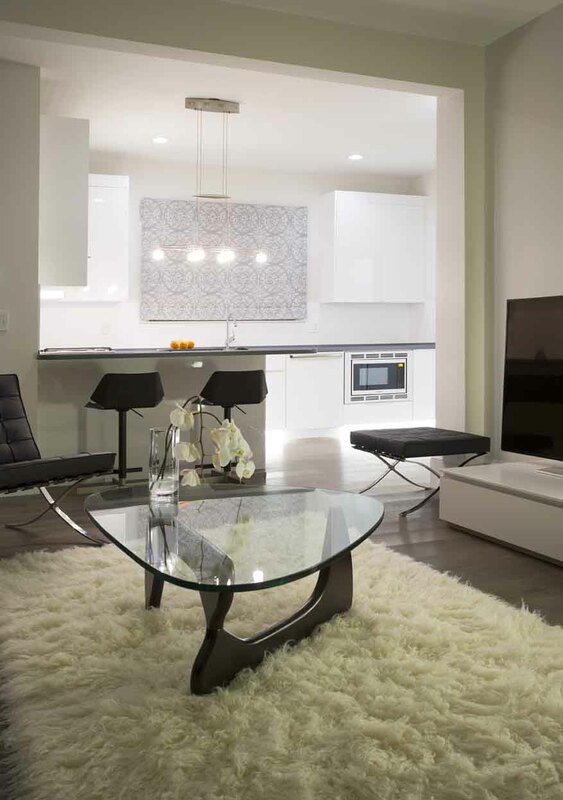 Whether used as a primary residence or as a home away from home for international professionals, my turnkey designs offer all the amenities needed for a luxurious lifestyle,” notes Ms. Fulford-Jones. The methodology Ms. Fulford-Jones employs for these turnkey projects is unique. 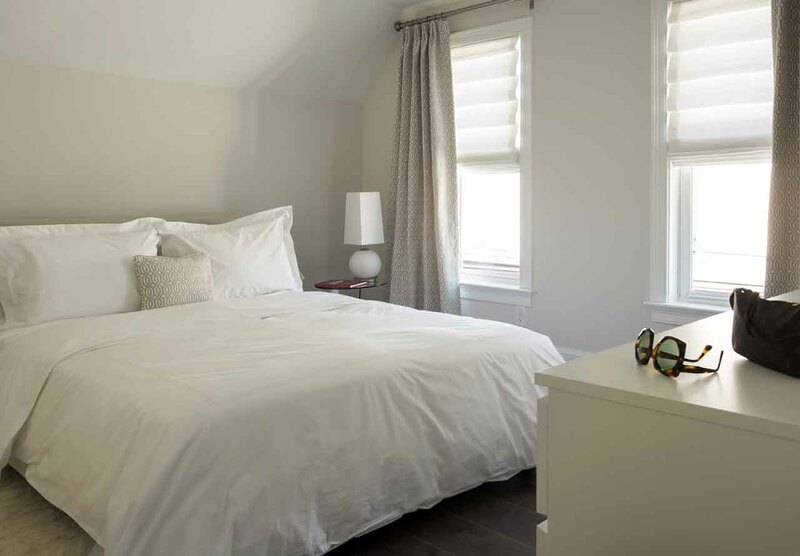 While traditional renovations typically pass from the early involvement of a designer to a project manager and contractor who realize the original scheme, Beatrice takes on and integrates the dual roles of interior designer and project manager. Although challenging, Ms. Fulford-Jones finds that the day-to-day, hands-on design and construction process is highly efficient. Moreover, supervising a project from start to finish allows her to keep a watchful eye on all the details and ensures that everything is completed with thoroughness and skill. 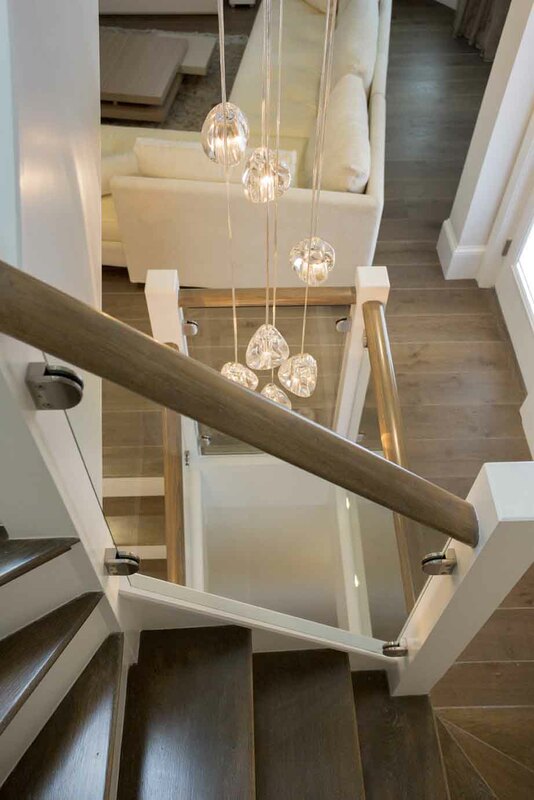 Ultimately, her designs express the high level of luxury desired by her clients. 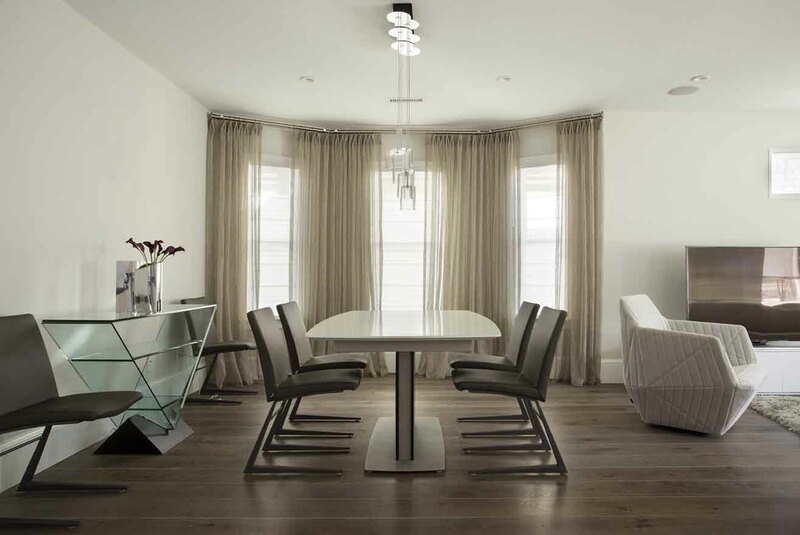 Global Interior Design, led by Beatrice M. Fulford-Jones, BA, SBID, IIDA, is a highly respected interior designer who specializes in the creation of fine residential homes. She designs each project cognizant of the client’s intent, and ensures that every aspect works in harmony with the overall vision. 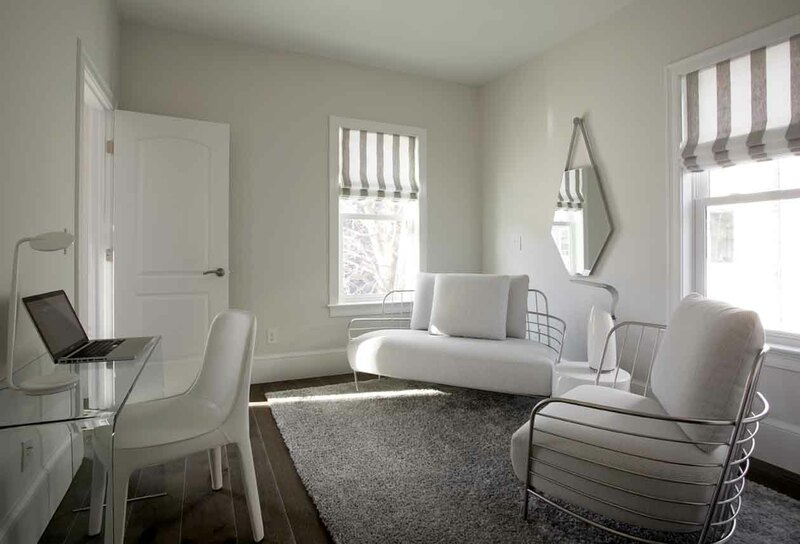 Her designs are sophisticated and intuitive, and known for the unified integration of architecture and interior design. Private clients and developers looking to create chic homes that are marketed as turnkey investments often seek Ms. Fulford-Jones out. Her flair and elegance, buttressed by an unwavering ability to handle complicated properties, makes her a significant asset to any design and development team. Beatrice Fulford-Jones, BA SBID, IIDA serves as Principal of Global Interior Design, an acclaimed international interior design firm noted for creating distinctive and luxurious interiors. 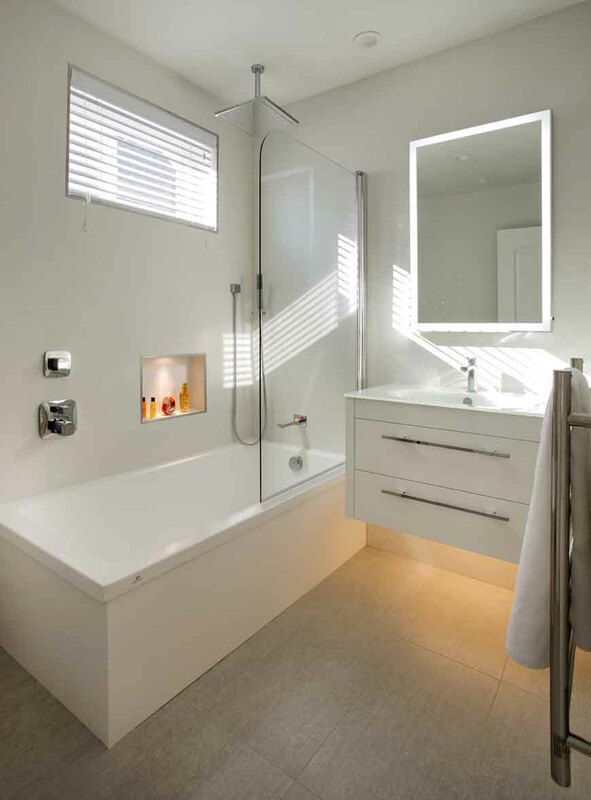 The firm offers comprehensive design services ranging from design initiation through final construction and installation.